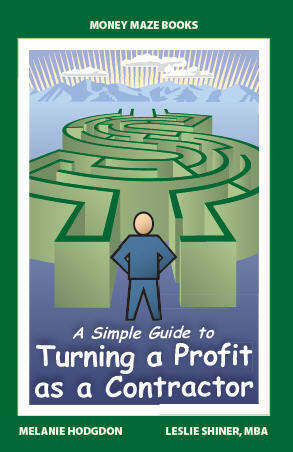 A Simple Guide to Turning A Profit as a Contractor is now available. Be the first on your block to have this book. Buy now from Amazon, or send an email to Books@MoneyMazeBooks.com for more information. This is the book you should have bought the day you decided you could make more money running a construction company than banging nails for somebody else. It provides you with the answers to those business questions that plague contractors: what am I doing wrong and what’s stopping me from making the money that I deserve? You’ll meet Mike, a remodeler who thought he owned a business but actually had a low-paying job. Many contractors start out like Mike. This book, in a very simple and easy to understand way, follows Mike as he learns to understand his numbers, adopts new systems, and creates a repeatable process for profit.